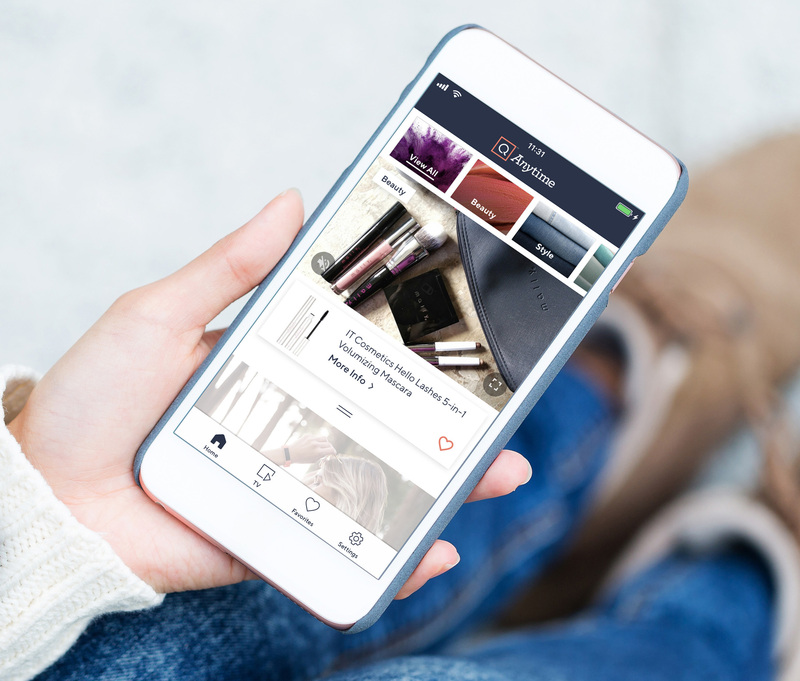 With this rebrand, visuals and other elements across the QVC brand are designed to break through and capture attention on the small screen, reflecting the profound changes that social has brought to digital retail. Photography is thumb-stopping, intimate and candid, with rich details and organic patterns. Videos are shot in a casual, unfiltered manner, with close-ups, movement, through-shots and surprising angles. New studios bring viewers into trendy urban spaces, along with suburban settings. Music and copy are playful and spirited. These changes have already gone into effect for new content across QVC's platforms. I liked the old logo when it was released in 2007 and I kind of still like it now. The outer “Q” ribbon was a nice idea, well executed. The full name inside was maybe too small but other than that, it was a good TV logo with a strong presence on screen. The new logo goes to the opposite end of the spectrum with a relatively thin stroke approach and a more delicate rendition of the “Q”. 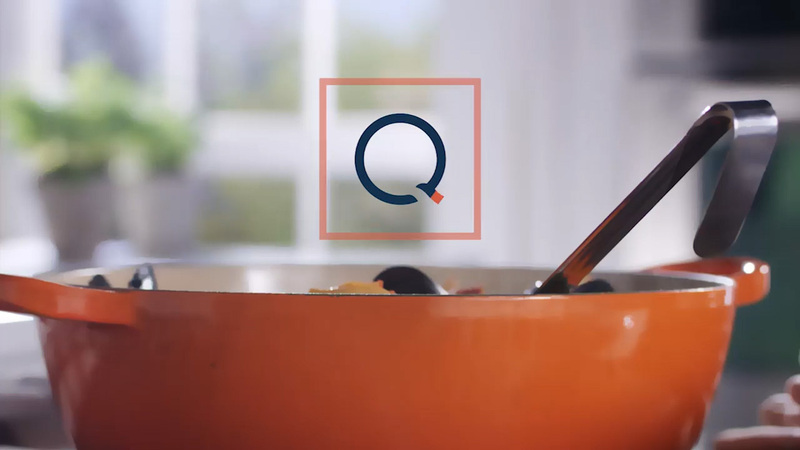 It’s a little awkward — mainly if you stare at the opening of the “Q” for too long it starts looking like a blown-up “R” — but it’s mostly fine with its curly stroke. It’s also more clearly geared towards women with the more delicate lines and softer color palette. 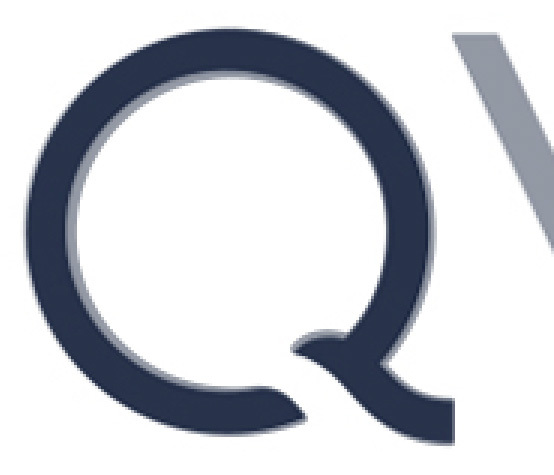 The combination of monogram and wordmark is far from ideal as the repetition of the “Q” looks kind of dumb and is even baffling when you overlay the two “Q”s and not only are they ever so slightly different in size but also in construction — lighter “Q” is the one outside. The monogram on its own is mostly fine although when looking at it in a single color when it’s on top of the photos, the thickness of square and the “Q” don’t match either and, I for one, think they should. 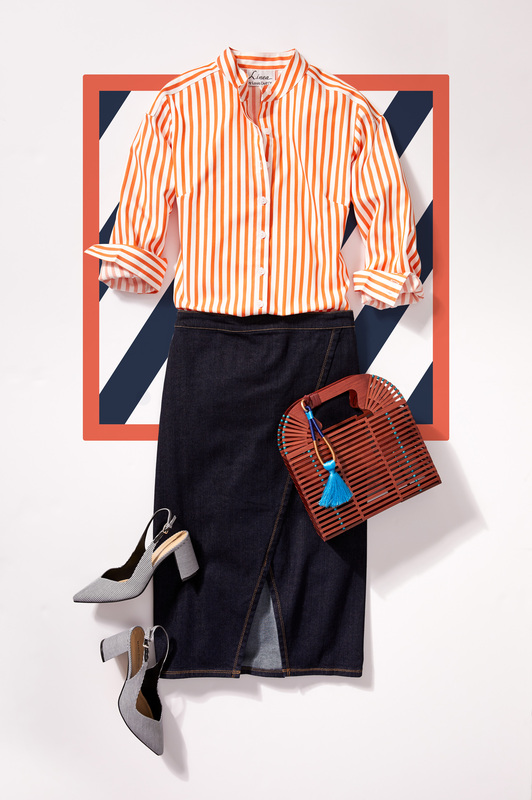 When it’s two colors, the difference isn’t notable but in single color it stands out. Using the peachy-colored stroke as a brand element is fine, far from novel, but fine and a decent way to build some equity into the logo. Overall, this is fine — nothing too exciting, nothing too bland and more targeted to the audience. Thanks to Craig Brown for the tip. (Est. 1986) \"QVC exceeds the expectations of everyone we touch by delivering the joy of discovery through the power of relationships. Every day, in nine countries and counting, QVC engages millions of shoppers in a journey of discovery through an ever-changing collection of familiar brands and fresh new products, from home and fashion to beauty, electronics and jewelry. 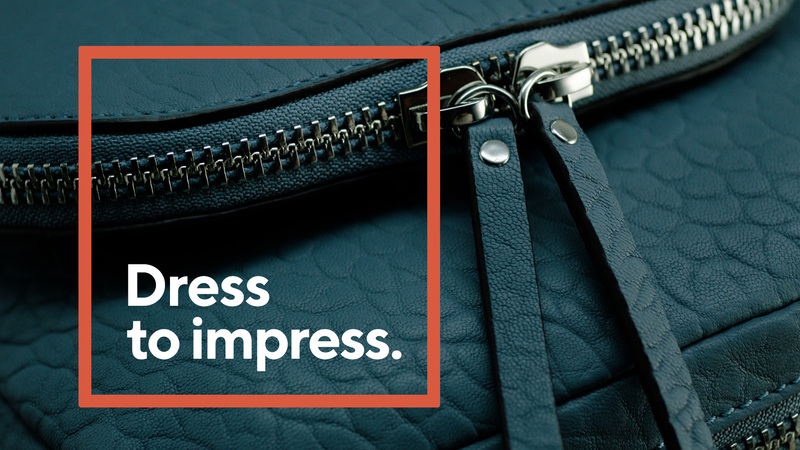 Along the way, we connect shoppers to interesting personalities, engaging stories, and award-winning customer service. Based in West Chester, Pa. and founded in 1986, QVC has more than 17,000 employees and has retail operations in the U.S., Japan, Germany, United Kingdom, Italy, France, and through a joint venture in China. Worldwide, QVC engages shoppers over 15 broadcast networks reaching more than 360 million homes, seven websites, and 195 social pages. QVC is a wholly owned subsidiary of Liberty Interactive Corporation and is attributed to the QVC Group tracking stock (NASDAQ: QVCA, QVCB).\"